Our body surface catheter fixation devices replace traditional catheter fixation, reduce the workload of health care workers. 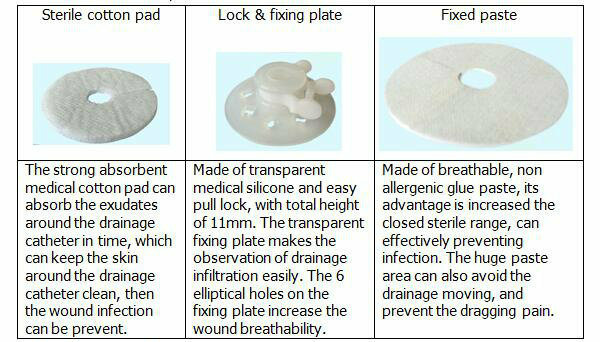 The fixation devices are clean, beautiful, simple, fixed, no slippage phenomenon, can highly reduce the pain of patients. 2. A good absorption of the exudates around the drainage catheter, prevents the infection caused by the accumulation of seepage. 3. Transparent product structure makes it is easy for doctors and patients to view and control the drainage situation in time to avoid accidents. 4. 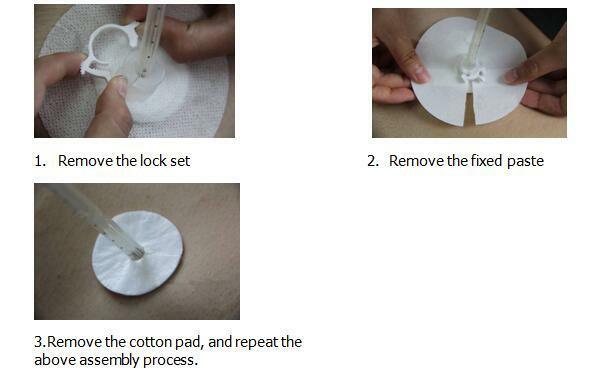 Product structure is novel, safe, clean, beautiful and simple operation, easy for medical personnel to use. 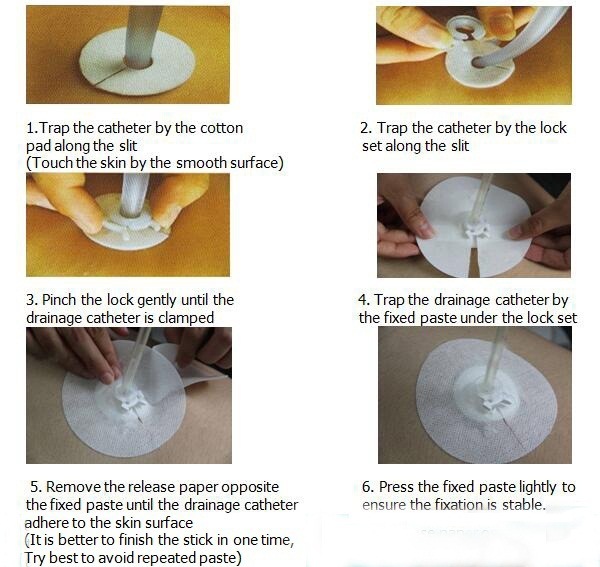 Suitable for fixation of different drainage catheters. C F20-F24 ICU, cardiothoracic surgery, hepatobiliary surgery, general surgery, urology, obstetrics and gynecology, etc. 2. Please do not use if the package is damaged. 3. 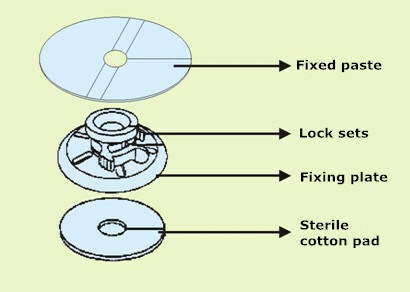 The lock set should not be too tight or too loose. Skin allergies should be used with caution. The product should be stored in a dry room with excellent ventilation and without caustic gases. The relative humidity of the room must be less than 80%.